(Reuters) - The picture that lit up social media and unsettled the White House began with a trek up 50 flights of stairs, nearly to the top of the Washington Monument, for a bird's eye view of Donald Trump's inauguration on Friday as the 45th U.S. president. Reuters had asked the U.S. National Park Service in an email on Jan. 13 whether a photographer could be posted on the observation level near the top of the monument, the highest vantage point overlooking the National Mall. 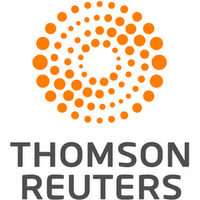 The next business day, the park service agreed to grant Reuters access, on condition the news agency would make the picture available to other media that requested it. Because the elevator is under renovation, photographer Lucas Jackson had to climb 897 steps to reach the 500-foot (152-meter) elevation, carrying a backpack and shoulder bag full of photo gear, plus a step ladder. "It was definitely a strenuous climb," Jackson said. A CBS News camera operator and a Park Service photographer were the only others taking images from the observation level. Reuters published side-by-side pictures of two moments in history. One image was Trump's inauguration on Friday, taken by Jackson just as Trump took the oath of office, Jackson said. The other picture was taken by Reuters photographer Stelios Varias from the same spot during former President Barack Obama's first inauguration, between 12:07 p.m. and 12:26 p.m., during Obama's inaugural address. Reuters published a combination of the two pictures at 2:02 p.m. (1902 GMT). 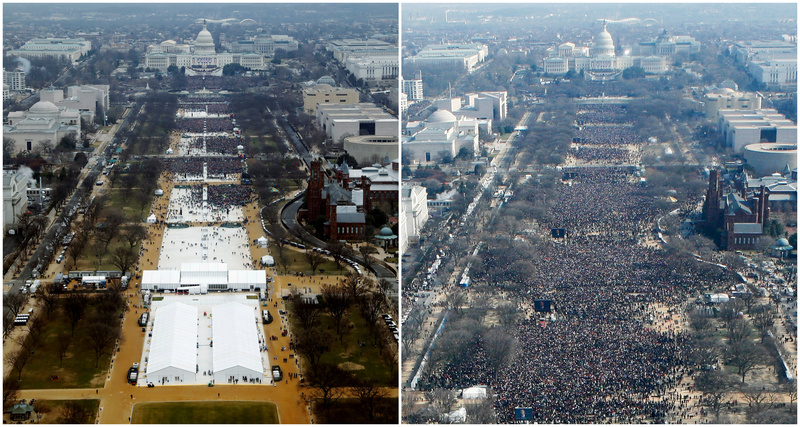 The caption read: "A combination of photos taken at the National Mall shows the crowds attending the inauguration ceremonies to swear in U.S. President Donald Trump at 12:01 p.m. (L) on January 20, 2017 and President Barack Obama on January 20, 2009, in Washington, DC." The caption did not state which crowd was larger. 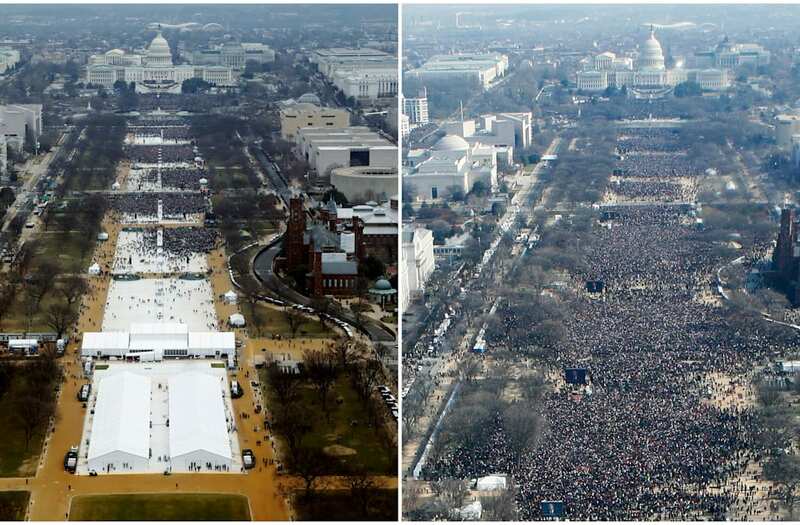 The side-by-side images soon went viral on social media sites such as Twitter, where people added commentary about the relative size of the crowds. The controversy dominated Trump's first weekend in office. From Trump's vantage point, the new president saw a sea of people that he estimated at 1 million to 1.5 million strong, according to his remarks on Saturday at CIA headquarters. Trump chided the "dishonest media" for showing pictures of empty spaces on the mall. Later that day, White House spokesman Sean Spicer accused some of the media of engaging in "deliberately false reporting." "This was the largest audience ever to witness an inauguration, period, both in person and around the globe," Spicer said. Spicer elaborated on Monday, saying he stood by the remark given the "tens of millions of people that watched it online" with devices that were unavailable in the past.